Automatic Tape Cutting Machine That can support the width according to the size of each model Can also cut the width of the page to a small size in millimeters Can cut various types of adhesive tapes such as single-sided adhesive tape Double-sided adhesive tape Adhesive tape, foam tape, PVC adhesive tape, PET adhesive tape, metal adhesive tape, aluminum, adhesive tape, fabric Copper adhesive tape etc. 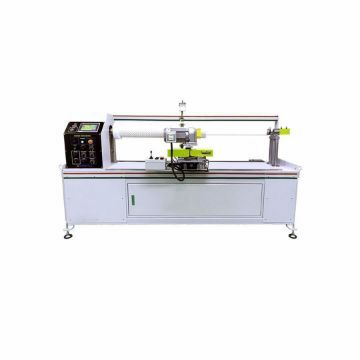 DWC-271 Automatic Cutting Machine is a adhesive tape cutting machine. Which can support the width up to 1.55 meters, can cut various types of adhesive tapes such as single-sided adhesive tape Double-sided adhesive tape Adhesive tape, foam tape, PVC adhesive tape, PET adhesive tape, metal adhesive tape, aluminum adhesive tape Copper adhesive tape etc. 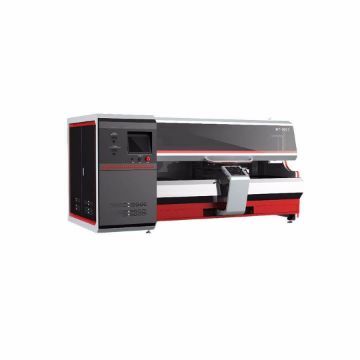 HT-701A Single-Shaft Automatic Cutting Machine is a adhesive tape cutting machine. Which can support the width of up to 1.7 meters and can also cut the width of the page to a minimum of 1 mm, can cut various types of adhesive tape such as single-sided adhesive Double-sided adhesive tape Adhesive tape, foam tape, PVC adhesive tape, PET adhesive tape, metal adhesive tape, aluminum adhesive tape Copper adhesive tape etc. 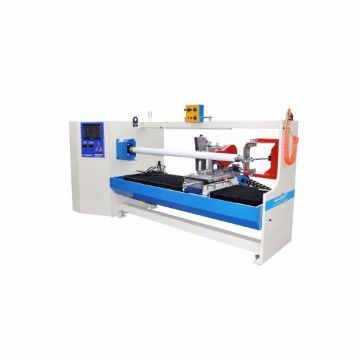 HT-701B Single-Shaft Automatic Cutting Machine is a adhesive tape cutting machine. That can support the width of up to 1.7 meters and can also cut the width of the page to a minimum of 0.5 mm Double-sided adhesive tape Adhesive tape, foam tape, PVC adhesive tape, PET adhesive tape, metal adhesive tape, aluminum adhesive tape Copper adhesive tape etc. 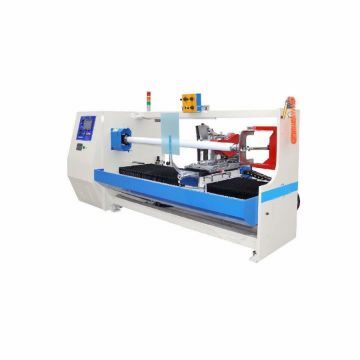 HT-701C Single-Shaft Automatic Cutting Machine is a adhesive tape cutting machine. Which can support the width of up to 1.4 meters and can also cut the width of the face to a minimum of 0.2 mm, can cut various types of adhesive tape, such as single-sided adhesive tape Double-sided adhesive tape Adhesive tape, foam tape, PVC adhesive tape, PET adhesive tape, metal adhesive tape, aluminum adhesive tape Copper adhesive tape etc.